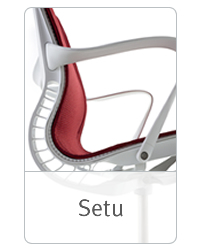 Find functional design and innovative form at SeatSwap online. As an authorized Herman Miller dealer you will find originals products only with the extended manufacturer warranty of up to 12 years. Our trained staff will be glad to consult you with making the best choice for your individual needs. The decision for an ergonomic office chair is not always easy. 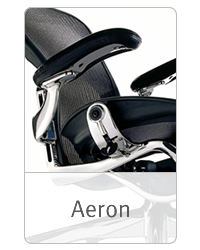 Most famous seating like the aeron, winning design awards and a permanent place at the museum of modern art might not be always the optimal choice. 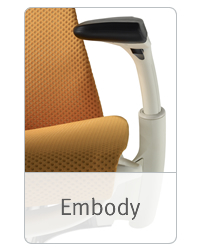 Emphasizing the ergonomic needs of your new design chair will rather lead you to the embody chair which was developed with a research budget of over 20 mio. dollar. 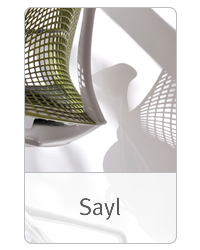 Having a tight budget on the other hand but still wanting an adequate seating option might make the SAYL interesting for you. But Mirra and Setu have interesting features and will serve a special demand as well. Please contact us to find out which choice is the best for you. Besides offering high quality Herman Miller office chairs we provide probably the widest range of services you will find online. Do you have an old Herman Miller chair? 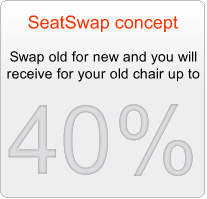 We will buy it from you and pay with a discount of up to 40% on the price of a new chair ordered at SeatSwap. You have no time to wait 6-8 weeks for your new chair? Browse through our 48h express delivery section. We have many different chairs in larger numbers in stock and will ship them immediately if you need them. 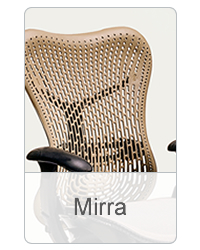 Missing additional accesories or spare parts for your current herman miller chair? No problem. We many spare parts in stock and will order any part you need. Additionaly our technician can fix the problem in house and send you the repaired chair if that is more convenient for you.